Many older adults, unable to afford necessary medications, access unregulated drug suppliers that provide impure or unsafe drugs to unsuspecting patients. Providers must counsel patients to make wise choices, offering guidance on avenues likely to represent safe alternative drug sources. According to the Organization for Economic Co-operation and Development, 75% of counterfeit drugs come from India, which has no prohibition on their export. The counterfeit drug supply of developed countries such as the United States is estimated to be less than 1%.2 However, the fact that 40% of the world's prescription drug sales occur in the United States, coupled with the fact that 80% of their active ingredients originate from countries with counterfeiting problems,1 makes it increasingly clear that America is at significant risk for pervasive counterfeit medications. Counterfeiters are not motivated to ensure the safety and efficacy of their products. Therefore, these criminals take whatever steps are necessary to turn a profit. Counterfeit drugs are often manufactured under unsafe conditions and may contain too little, too much, or no active pharmaceutical ingredients. Floor wax, rat poison, concrete, chalk, boric acid, road tar, paint, and antifreeze are only a few of the dangerous or toxic ingredients found in counterfeit drugs.6 Hence, patients taking counterfeit drugs are at risk of dangerous health consequences ranging from unexpected side effects to allergic reactions to worsening of their medical conditions. In the most severe cases, patients may experience serious injury and even death. As noted earlier, all classes of medications have been counterfeited, with lifestyle medications such as Viagra believed to be the most frequently counterfeited drug ever made. Other commonly counterfeited drugs include those manufactured to mimic drugs prescribed to treat chronic diseases such as high cholesterol (eg, Lipitor), hypertension, cancer, and HIV/AIDS, as well as antibiotics and pain medications. Reports of deaths from counterfeit opioids often portray the victims as street drug addicts looking for a high. While no person deserves to die from counterfeit opioids, we need to better understand all of the issues that may lead to patients seeking these opioid medications through the black market. Concerns for opioid drug abuse, legal issues, time constraints, and increased scrutiny by licensing boards and the DEA may lead prescribers to refuse treatment with opioids. Other factors putting patients at increased risk for seeking counterfeit drugs are inappropriate weaning off long-term opioid medication and, in some cases, turning away by the same prescribers who prescribed patients opioids for months or years. As scenarios like this occur, more patients are likely to turn to risky online pharmacies and street dealers in an attempt to obtain relief. Counterfeit drugs can enter safe drug supplies in cases where health care providers allow their pursuit of profits to supersede the safety of their patients. Physicians, pharmacists, and other health care professionals have placed patients at risk of harm by knowingly using counterfeit medications. 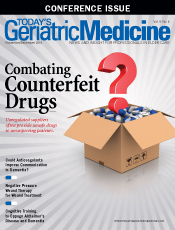 Although the extent of this issue is unknown, there are reports of physicians and pharmacists knowingly purchasing counterfeit drugs from unlicensed distributors. These distributors realize a profit by selling drugs that have been illegally imported, have expired, have been stolen, have been damaged by poor handling, or are outright counterfeits. Physicians and pharmacists who purchase these discounted drugs generate a profit for themselves by billing insurance companies, Medicare, and patients at the same prices charged for legitimate treatments. This introduction of unsafe drugs into legitimate drug supplies causes patients to lose trust in the integrity of their treatments and the health care system. The rapid growth of internet commerce has led to an explosion of counterfeit drugs sold around the world, with China and India acting as two of the world's biggest sources of fake medicines. • Twenty-three percent say they've purchased prescription medicine online. Of those, almost 1 in 5 chose sites not associated with a local pharmacy or health insurance plan. • Twenty-one percent of those who reported buying from an online pharmacy reported using one based outside of the United States. • Fifteen percent of all respondents would consider purchasing from an online pharmacy based outside of the United States. • Forty-seven percent of those who reported buying from an online pharmacy not associated with a local pharmacy or health insurance plan searched online for comments and ratings before making the purchase. • Twenty-four percent have a physical address located outside of the United States (though most rogue sites do not post any address). • Eighty-eight percent do not require a valid prescription. • Fifty-eight percent issue prescriptions per online consultation or questionnaire only. • Fifty percent offer foreign or non-FDA-approved drugs. • Seventeen percent do not have secure sites. • Forty-two percent have server locations in foreign countries. • Twelve percent dispense controlled substances. The FDA and other groups such as the NABP note that foreign and unlicensed drug sellers are unmotivated to ensure the safety and efficacy of their products. The FDA indicates these pharmacies are not operating under appropriate regulatory oversight and, therefore, no authority can guarantee the authenticity of the medication they sell. The Center for Safe Internet Pharmacies (CSIP) is a nonprofit organization founded by a diverse group of internet service providers and technology companies. CSIP works with its 11 member organizations and partners to address the global problem of consumer access to illegitimate pharmaceuticals from illegal online pharmacies and other sources. Through its partnership with LegitScript.com, CSIP provides resources to verify the website addresses of online pharmacies to determine their legitimacy. The NABP, the FDA, and other agencies and individuals suggest the safest way to purchase drugs online is through pharmacies accredited through the Verified Internet Pharmacy Practice Sites (VIPPS) program by NABP. These certified online pharmacies ensure prescriptions are acquired from a trustworthy provider, which can help eliminate risks associated with sites that fail to comply with federal and state laws and regulations. One issue of concern with VIPPS is that not all legitimate online pharmacies have registered and paid the credentialing fees necessary to be accredited, so patients may not find the access to affordable medications they are seeking. The NABP has launched its ".pharmacy" Top-Level Domain Program, which provides an even easier way for consumers to find safe and legal online pharmacies. Unlike .com and other domains, only legitimate internet pharmacies and pharmacy-related websites are awarded ".pharmacy" domains. Applicants are vetted by the NABP and, where applicable, local authorities, to prove legitimacy of the online pharmacy. Nearly every patient advocacy group and law enforcement agency agrees there is no such thing as a safe rogue online pharmacy. These pharmacies illegally sell counterfeit and substandard medications with no regard for patient safety. Educating patients and health care professionals as to how rogue online pharmacies operate is essential to reducing risk. There is division among patient advocacy, government agencies, and pharmaceutical companies as to whether US citizens should be permitted to purchase medications online from other countries, including Canada. The issue is complex due to the risk of counterfeit medications, especially from illegal rogue internet pharmacy sites. However, consideration must also be given to the realities patients face due to rising medication costs and frequent inability to afford necessary medications. An estimated 35 million patients in 2014 did not fill a prescription because of cost.15 Additionally, a survey by the Harvard School of Public Health and Kaiser Health Foundation found that 50% of Americans who could not afford medication said they became sicker.16 With millions of Americans already using online pharmacy sites to purchase their medications, providers must give consideration to making patients' purchase of medications not only safer but also affordable. • does not protect personal and financial information, as rogue pharmacies are increasingly stealing information for identity theft. Recommend that patients buying from online pharmacies use one of the verification services. These services help to ensure the pharmacy is licensed, a prescription is required, pharmacy contact information is confirmed, privacy policies protect patients' personal information, and personal/financial data transmission is encrypted. These verification services include VIPPS for online pharmacies in the United States. If a patient is insistent on purchasing from a pharmacy outside of the United States, recommend patients purchase medications only if the pharmacy is accredited by a credentialing authority such as PharmacyChecker.com or the Canadian International Pharmacy Association (CIPA), both of which verify and certify online pharmacies outside of the United States. Health care professionals should take steps to minimize patient risk from counterfeit drugs and rogue online pharmacies. Work with patients to identify cost-saving alternatives such as generic medications. Consider switching to less costly but therapeutically equivalent alternatives within a drug class. Evaluate patients' medication regimens for possible polypharmacy, and discontinue unnecessary medications. Discuss options such as pharmaceutical company assistance and other discount pharmacy programs. Encourage price shopping among pharmacies, as prices vary tremendously. Urge patients to check into cost-saving possibilities first by reviewing online pharmacies in the United States accredited by VIPPS. After exhausting the recommendations above, be mindful that patients unable to afford their medications are at increased health risk. Remember that many patients will purchase medications online from sources outside of the United States regardless of what health care professionals' views may be. Educate patients on the risks associated with illegal rogue pharmacies. Consider informing patients about sources such as PharmacyChecker.com and CIPA. Significant problems associated with counterfeit drugs and rogue online pharmacies exist in the United States, and it is unlikely a perfect solution will be developed in the near future. While the dilemma is real, all health care professionals have the opportunity to take a much larger role in working with patients. Doing so can guide patients toward a safer solution that takes into consideration each patient's individual health care and economic needs. 1. US House of Representatives, The Committee on Energy and Commerce. Hearing on counterfeit drugs. http://docs.house.gov/meetings/IF/IF02/20140227/101804/HHRG-113-IF02-20140227-SD002.pdf. Published February 25, 2014. Accessed September 20, 2016. 2. World Health Organization. Counterfeit medications: an update on estimates. http://www.who.int/medicines/services/counterfeit/impact/TheNewEstimatesCounterfeit.pdf. Published November 15, 2006. 3. Sample I. Surge in illegal sales of drugs as gangs exploit 'phenomenal market' online. The Guardian. https://www.theguardian.com/society/2014/dec/28/drugs-medicines-sold-illegally-online-internet. Published December 28, 2014. Accessed September 28, 2016. 4. IRACM publishes a study report on counterfeit medicines and criminal organisations. International Institute of Research Against Counterfeit Medicine website. http://www.iracm.com/en/study-report-2013/. Published September 25, 2013. Accessed September 27, 2016. 5. Braun MA; US House of Representatives, Committee on Homeland Security. Iran, Hezbollah and the threat to the homeland. https://homeland.house.gov/files/Testimony-Braun.pdf. Published March 21, 2012. Accessed September 30, 2016. 6. Battling the epidemic of illegal online drug sellers and counterfeit medicines. Quality Matters website. http://qualitymatters.usp.org/battling-epidemic-illegal-online-drug-sellers-and-counterfeit-medicines. Published June 30, 2015. Accessed September 18, 2016. 7. Fake drugs kill over 700,000 people every year — new report. International Policy Network website. http://archive.today/ipW8i. Accessed September 22, 2016. 8. Warning: counterfeit Alli. US Food and Drug Administration website. http://www.fda.gov/ForConsumers/ConsumerUpdates/ucm198557.htm. Updated April 7, 2016. Accessed September 30, 2016. 9. Kaplan S. GNC, Target, Wal-Mart, Walgreens accused of selling adulterated 'herbals'. The Washington Post. February 3, 2015. https://www.washingtonpost.com/news/morning-mix/wp/2015/02/03/gnc-target-wal-mart-walgreens-accused-of-selling-fake-herbals/. Accessed September 21, 2016. 10. Drug Enforcement Administration. Counterfeit prescription pills containing fentanyls: a global threat. https://www.dea.gov/docs/Counterfeit%20Prescription%20Pills.pdf. Published July 2016. Accessed September 30, 2016. 11. Imber S. U.S. doctors prosecuted for buying fake medication from CanadaDrugs. The Partnership for Safe Medicines website. http://www.safemedicines.org/2016/03/u-s-doctors-prosecuted-for-buying-fake-cancer-medication-from-canadadrugs.html. Updated March 14, 2016. Accessed September 23, 2016. 12. FDA. Buying medicines online? Be wary, FDA says. www.fda.gov/downloads/consumers/consumerupdates/ucm321495.pdf. Published September 2012. Accessed September 17, 2016. 13. National Association of Boards of Pharmacy. Internet Drug Outlet Identification Program progress report for state and federal regulators: July 2015. http://safeonlinerx.com/wp-content/uploads/2015/08/NABP-Internet-Drug-Outlet-Report_July-2015.pdf. Published July 2015. 14. Levitt G; PharmacyChecker.com. Online pharmacies, personal drug importation and public health: ill-considered enforcement prevents access to safe and affordable medication. http://www.pharmacychecker.com/online-pharmacies-personal-drug-importation-public-health.pdf. Published February 12, 2015. 15. Collins SR, Rasmussen PW, Doty MM, Beutel S. The rise in health care coverage and affordability since health reform took effect: findings from the Commonwealth Fund Biennial Health Insurance Survey, 2014. http://www.commonwealthfund.org/~/media/files/publications/issue-brief/2015/jan/1800_collins_biennial_survey_brief.pdf. Published January 2015. Accessed September 30, 2016. 16. USA Today; Kaiser Family Foundation; Harvard School of Public Health. Health care costs survey. https://kaiserfamilyfoundation.files.wordpress.com/2013/01/7371.pdf. Published August 2005.